IMWAYR: The Honest Truth	Slice of Life Tuesday: What a Week! It seems that Valentine’s Day is one of those holidays that one either loves or hates. I love Valentine’s Day because I adore my girls and I want to spend time with them. I went out with my husband (dinner and a movie) and I saw each girl and even got an extra day off from work for President’s Day. 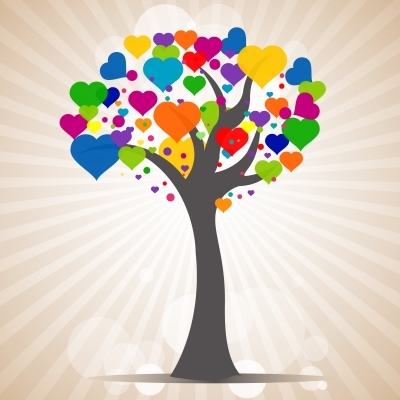 I love that “love tree”. Happy about your wonderful Valentine’s Day, Jennifer. It was nice to have it fall on a long weekend. I enjoyed the time and excuse to celebrate with my hubby.